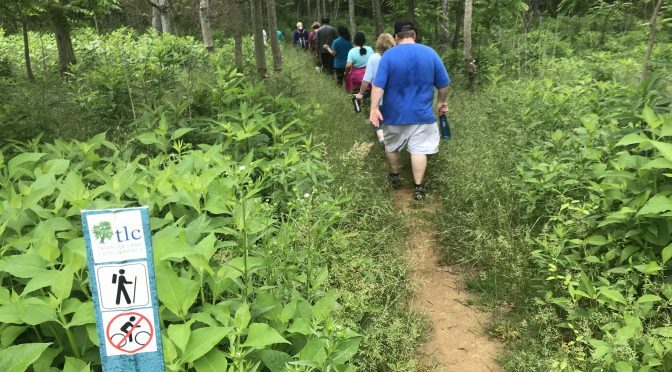 100 Classic Hikes in North Carolina Archives - GetGoing NC! Since I answer the question differently every time it’s asked, the notion of a classic hike, obviously, is difficult to pin down. In essence, I define it as a hike that you could do 100 times, and every time will yield a unique experience. Some of that has to do with the trail itself. A lot has to do with the season. A lot, too, with the weather. When I first hiked the Mt. Sterling/Cataloochee Valley area in 2005 — Trips 17 and 18 if you’re following along in “Backpacking North Carolina” (2011, UNC Press) — it was on a late November day. There were light, indifferent clouds overhead, the landscape had turned from predominantly green to predominantly brown and gray. The landscape was stark, the air cold. The sky, while not threatening, suggested I not overstay my visit atop 5,843-foot Mt. Sterling. A decade later, I still have vivid memories of that trip, though not of the reality TV variety. This weekend, I made my first return visit, with GetHiking! 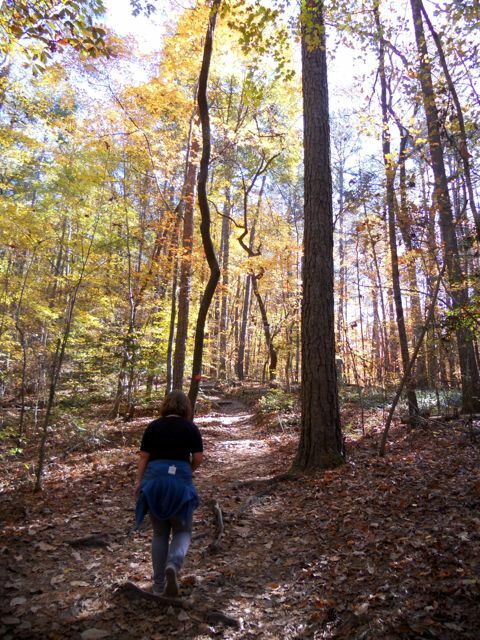 North Carolina’s Classic Hikes. This time it was early spring in the high country. Wildflowers were prolific. The hardwoods had budded in the valley but not at elevation. It was cloudy with a light rain falling most of the day, with late day reports of sleet and fat snowflakes from the summit. The world was a shiny, wet green, with flashes of color — blinding white dogwood blooms in the understory, the forest floor peppered with white, yellow and purple blooms — popping in contrast. Memorable in a different way than my first visit. Not necessarily better, different. And, I’m sure, it will be different the next time I visit. Despite the fact I use the word “classic” liberally despite an imprecise definition, it’s not a word I use lightly. Maybe I can’t define a classic hike, but I know one when I hike it. Translation: Sunday will bring us our first true fall hiking of the season. So get done what you need to get done on Saturday and reserve Sunday for a day in the woods. Where? you ask. Here’s a quick list of our favorite resources for finding a good hike. North Carolina State Parks. North Carolina has 41 state parks, natural areas and recreation areas crawling with good hiking trail, and you’ll find them pretty evenly distributed from the coast (Jockey’s Ridge) to the highest spot in the high country (6,684-foot Mount Mitchell). The state park Web site has helpful information for planning a trip, including downloadable versions of the maps you’ll find at the parks. Investigate here. Carolina Mountain Club. The venerable (est. 1923) hiking group maintains by far the most extensive database of hikes in North Carolina’s mountains. Not only do they have a lot of hikes but they have all the details you’ll need to plan, find and execute your hike. Investigate here. NCHikes.com. Our sister site includes a trove of hiking information, including longer hikes and tips on executing your hikes. Investigate here. More of a guidebook person? There are lots of good ones on North Carolina, some covering the entire state, some focusing on specific areas. We’ll humbly start you off with two recommendations, “100 Classic Hikes in North Carolina” (2007, Mountaineers) and “Backpacking North Carolina” (2011, UNC Press). But lots of great weather is ahead, which should help soften the damp blow. And what better way to spend a rainy weekend day than planning for your next sun-drenched outing — and indulging in a vicarious escape in the process. I’ve put together a list — and a short slide show — of 10 hiking trips that should be on your agenda for spring and summer. Most involve water: understandable, considering part of what makes for a great hot weather hike is being able to cool off with a bracing dip. Some are at high altitude, which makes them often inaccessible in cold, snowy weather. Some may seem obvious — but may be missing from your explorer’s resume all the same. All are definitely worth experiencing. Short descriptions follow. You can find more detailed information in my “100 Classic Hikes in North Carolina” and/or “Backpacking North Carolina,” and at the Web sites provided. Mountains-to-Sea Trail. About half of this work-in-progress 1,000-mile trail running the width of the state is finished; of that 500 miles are oh-so-many sections worthy of your attention. In the mountains, the MST traces the Blue Ridge Parkway, offering surprising escape from the parkway’s four-wheeled explorers. 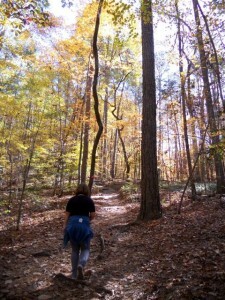 In the Piedmont, the rapidly expanding trail already runs 60 miles (nearly) non-stop through Durham and Wake counties. 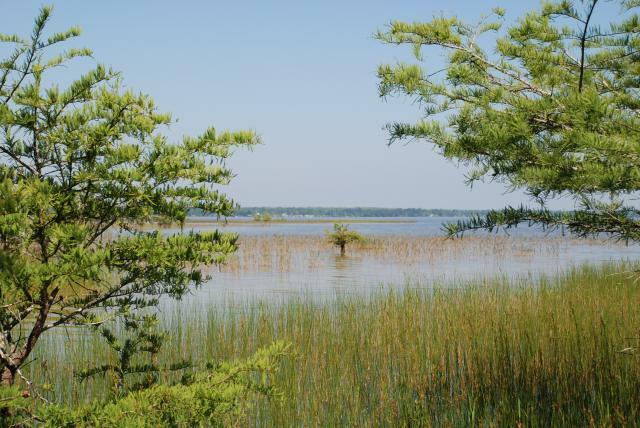 At the coast, the MST runs through the Croatan National Forest and up the Outer Banks. Mount Mitchell. Boasting that you’ve stood atop the eastern seaboard is as easy as driving to the concession parking lot atop Mount Mitchell State Park and walking the 50-yard paved trail to the top. But to truly claim bragging rights, take the Black Mountain Crest Trail north from the park to claim bagging rights to six 6,000-foot peaks. Warning: This trail isn’t paved. In fact, at least one passage requires anchored rope hand-holds for safe passage. Bear Island. Before heading out to Bear Island, part of Hammocks Beach State Park, first check the ferry schedule — then plan to go when the boat isn’t running. 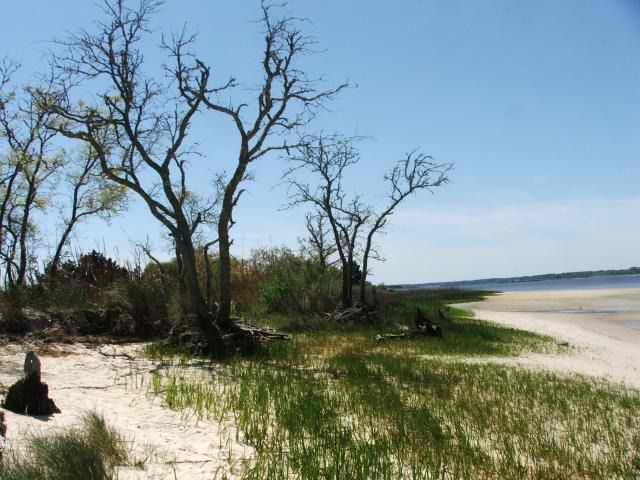 There’s nothing quite like having an entire 892-acre barrier island virtually to yourself. The two-mile canoe trail over will require a boat, but it’s an easy trip and the exploring — both along the beach and through the island’s interior — is great. And quiet. Appalachian Trail (Carvers Gap to US 19E). Nothing conveys hiking prestige like saying you’ve spent some time on the Appalachian Trail. And perhaps no section in North Carolina (and Tennessee; this 14-mile stretch straddles the border) is more AT than this one. Starting from Carvers Gap opposite Roan Mountain, you immediately hit three balds offering stellar views. From there, it’s a mild roller coaster of intimate alpine passages and more panoramic views. Shining Rock Wilderness It’s location not far off the Blue Ridge Parkway (west of Mt. Pisgah) offers easy access to some of the state’s most spectacular hiking. Ravaged by a pair of forest fires a century ago, the Shining Rock area offers large stretches of exposed hiking and non-stop views. Above 6,000 feet you’ll hit balsam stands more common to northern forests. A good place to avoid excessive climbs. Wilson Creek The Wilson Creek area consists of the drainage below Grandfather Mountain along the Blue Ridge escarpment. It’s a wild area — and a wet one. Nearly every trail plays footsie with a creek, and the area’s creeks are chock full of falls and swimming holes, the latter encased in granite. Hard to beat on a hot, sunny, summer’s day. Personal favorite: Huntfish Falls, a quick 0.7-mile hike exposes you to sizable pool and an expanse of rock ideal for sunning. Davidson River The Davidson River spills down the Blue Ridge escarpment north of Brevard, it’s name synonymous with play. Mountain bikers, fly fishermen/women, tubers and sliders (a screaming trip down Sliding Rock ends in a deep, cold pool) and especially hikers can find a week’s worth of entertainment from basecamp at the Davidson River Campground, arguably the best car-camping campground in the state. Reservations recommended during peak season. Eno River. I’ve steered clear of Piedmont destinations because they tend to be a bit steamy in warm weather. Yet there’s something about the Eno, which begins above Hillsborough in Orange County and runs across Durham County before emptying into Falls Lake. Maybe it’s the fact its rockiness more resembles a mountain stream, maybe it’s because mature hardwoods shade much of the extensive trail system along its banks. All I know is that I end up seeking refuge along the Eno at least once a summer. That’s where I recommend you head as the weather warms. As for me, my main goal is to visit five areas I’ve yet to explore, rugged and remote areas such as the Snowbird Mountains, sections of more popular venues such as the Bartram Trail and the Great Smoky Mountains that have somehow eluded me over the years. I’ll share my progress as I progress.